In today’s world of processed food and a never ending push from fast food to make dinner or lunch easier and more convenient, it has become more difficult to make healthy choices for our kids. Sugar is not just in cookies, cakes and desserts anymore. Studies show that 80% of food items that are purchased by consumers in the grocery store contain added sugar. Sugar hides behind many names like fructose, dextrose, maltose and high fructose corn syrup. 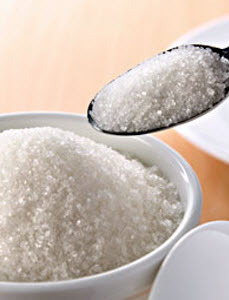 Too much sugar in any form is dangerous, as it has been proven that sugar is eight times more addictive than cocaine. That is a frightening truth for parents to face, especially when sugar has become present in every single meal we serve. Realizing that the sugar content you serve your family is off the charts can be difficult to fathom. However, sugar has many hiding places. Orange juice, chips, cold cereal, salad dressing, granola bars, ketchup, yogurt and white bread all contain hidden sugar. Think of the items that you may be packing into your child’s school lunch or the food they may be purchasing at school to eat. The sugar adds up so quickly, producing an unhealthy lifestyle and hijacking your child’s health in a very sneaky way. The number one result of all of this sugar intake has become childhood obesity. Today, one in five children are obese. More people will die from the effects of obesity than from starvation. The advancement of processed foods has elevated these unhealthy outcomes. False advertising will have you believe that eating healthy verses eating fast food or processed food will cost you more money. This is false. It does not cost more money to eat healthy. One of the main offenders of sugar overdosing is the soda industry. Soda is a significant contributor to the obesity problem in today’s society. All of this added sugar that contributes to the obesity epidemic is also contributing to cavities in kids. Sugar is extremely harmful to your child’s teeth as it plays a harmful role in tooth decay. The bacteria that forms together to become plaque uses sugar as a form of energy. The more sugar your child intakes and exposes to their teeth, the faster plaque is able to grow. Some bacteria even turns sugar into a type of glue that it can use to stick itself to the tooth’s surface. This makes it much harder for bacteria to get washed away with your saliva. Be proactive with the fight against sugar overloading. Make healthier food choices for your children and know what exactly it is that you are feeding them. A good routine teeth cleaning will help your child avoid the threat of cavities that are caused by the intake of sugar. Contact Smile Reef today to schedule a cleaning for your child and help prevent cavities. One in five households include children with special health care needs. Unfortunately, special diets, medications and motor habits often cause children with special needs to have higher rates of poor oral hygiene, periodontal disease and gingivitis. In fact, dental care is the leading unmet health care need among children with special needs! Special needs and the dentist can be tricky for any parent to handle. Children that have physical or mental special needs often suffer from increased anxiety when faced with a trip to the dentist. Special needs children can have many types of issues that can affect their everyday life, even when it comes to the hygiene of their teeth. This can mean that their dental work can be much more essential than a child that can brush and floss with ease. There are some types of disorders that can make it hard to explain to a child the importance of the hygiene of their teeth. They may not understand that a new person they may not know needs them to sit still so they can look into their mouth to check their teeth and gums. This can mean that issues such as cavities and gum disease that can cause pain, make intervention even harder to accomplish. What can you do to make the trip to the dentist with a special needs child a little bit easier? There are several things to look into that can help ease the anxiety of this appointment. Special Place – Long before the appointment, create a place to brush and floss and a special place to store your child’s dental supplies. This will help your child associate this room with the daily routine of dental health care. Be consistent; return to the same room each time you brush and floss. When choosing the room, consider your child’s special sensory needs (light, sound etc) and choose a place that is relaxing and comforting. 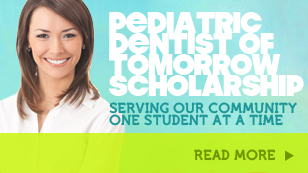 Experienced Pediatric Dentist – Choose a pediatric dentist like Smile Reef Dentistry that has experience treating and working with children with special needs. You can find out if the office staff or dentists have taken any classes that specialize in care of special needs. Most dental schools offer classes that help dentists and staff better understand how best to treat children with special needs. 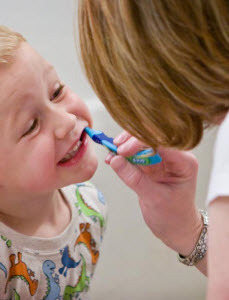 Preparation – Always prepare your child in advance for the visit to the dentist. Making sure that you take time to talk to your child about what they can expect and where they will be going may keep them from feeling like they are being surprised by the visit. You can even talk to the office and see if they have photos that you can show your child – or better yet whether you can bring your child in a few days before to allow them to get familiar with the location. When you show up at your appointment make sure that you allow plenty of time in the day in case you have to wait for your turn. Also be sure that you bring things to make your child feel at ease while you are waiting. Sedation – You may also want to consider an office that will offer sedation if that is what is best for your child. This can make a lot of the stress and anxiety lessen since the child will be unaware of the activity surrounding the appointment. Smile Reef specializes in special needs dentistry. It is our goal to make all children not only feel comfortable but look forward to going to the dentist! Come by our office or contact us today to talk about your special needs dentistry.